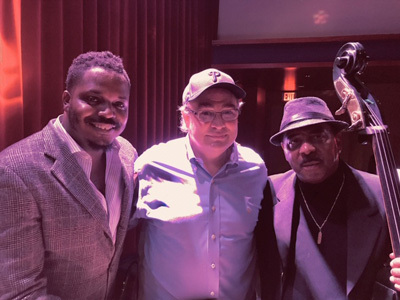 The Jones-Holton-Faulkner Jazz Trio will perform as part of the annual Ward Virts Concert Series at 3 pm Sunday, Nov. 11, 2018, at the College of Southern Maryland Prince Frederick Campus in Building B’s multipurpose room at 115 J.W. Williams Road in Prince Frederick. The concert is free. Learn more on the CSM Ward Virts Concert Series website. Every year, the Ward Virts Concert Series celebrates the life and talent of Ward Virts, an incredibly talented Southern Maryland pianist who died suddenly in 1993. A cohort of Ward’s friends and classmates conceived the Ward Virts Piano Project, knowing it would bring the love of life, beauty, and music that Ward embodied to the younger generation of Southern Maryland students, performers, and appreciative audiences. 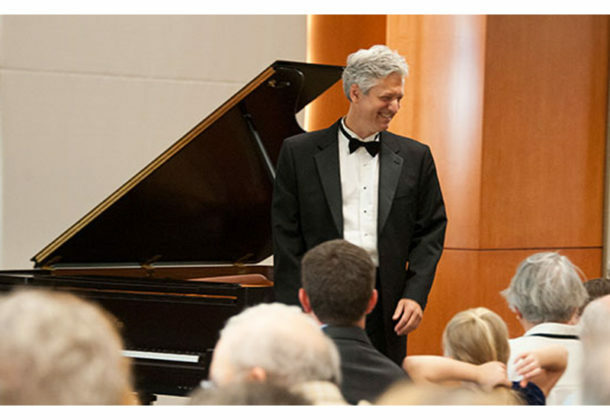 Each concert is performed on a world-class handcrafted Bosendorfer Grand Piano, a gift to CSM’s Prince Frederick Campus from the Ward Virts Piano Project, along with any other instruments each performer may need. Each part of the series takes place in the multipurpose room 104 in Building B on the CSM Prince Frederick Campus. Every performance begins at 3 pm. Doors open at 2:30 pm. No tickets or reservations are ever needed; the events are free and open to the public. Supporters of the Ward Virts 2018-2019 include the CSM Foundation; Dr. and Mrs. Henry Virts; Eric and Rané Franklin; Mary Anna Phillips; and Stovy and Anne Brown. The concert series is also funded by grants from the Arts Council of Calvert County and Maryland State Arts Council. Future concerts will include Sahun Hong on piano on Sunday, Feb. 10, 2019; Brian Ganz on piano Sunday, March 10, 2019; the Creative Concert Group: “Dvořák Reimagined” is set for Sunday, April 14, 2019, and Jazz One: “Happening Now” will be Sunday, May 12, 2019.